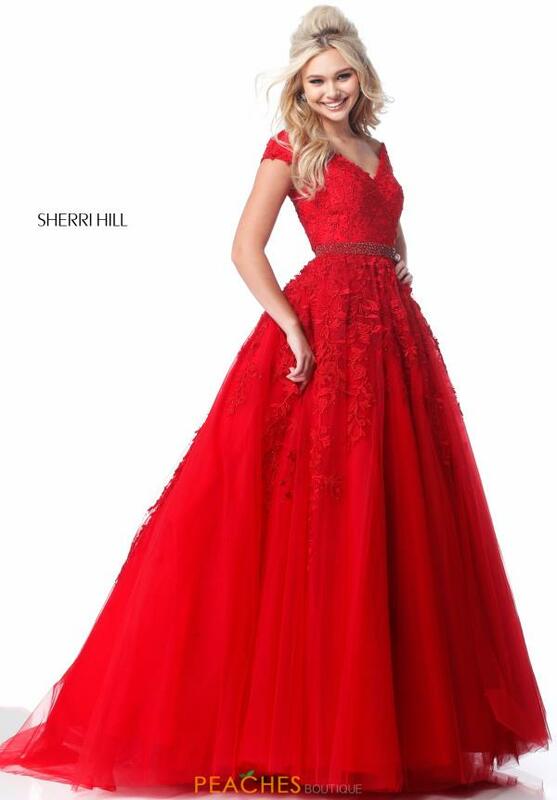 Feel like an enchanted princess that stepped out of a fairytale in this Sherri Hill A-line dress 51905. A classic V-cut neckline is paired with a thick shoulder sleeve. 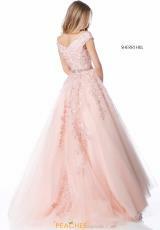 A beautiful applique is featured along the entirety of the bodice as a dazzling beaded waistline belt glimmers in the light. A full skirt flares out for the perfect dramatic effect. Stop by Peaches Boutique in Chicago for your dream dress.